Trying to sell a car? 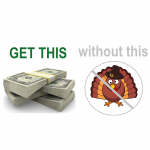 Tired of dealing with all the turkeys, broken appointments, & wasted weekends? whether you are selling a nice car that has a few little minor problems, or an old junk car that is likely to get up and start tap dancing as it is to run and drive; getting cash for your car 9 times out 10 much harder than withdrawing going to the ATM. You have to take the time to post it, take all the phone calls set up appointments, wait around when people don’t show up for appointments.We even had a customer tell us that someone showed up to see their car and offered them chickens as a trade…. Instead of trying to deal with all the turkey’s why don’t you save all that energy and time and go do something fun like snowboarding. Give us a call (801)485-5111. 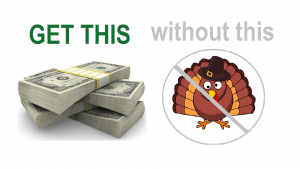 Instead of dealing with turkeys or being paid in chickens we will give you cash for your car. We have worked hard for A rating with the better business bureau. We are striving every day to set the standard for customer service and integrity. 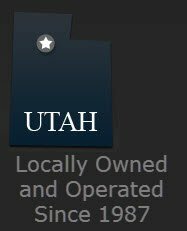 We have page after page of testimonis from good Utah families like you that chose trust carsoldforcash rather than deal with the turkeys to get rid of their car.